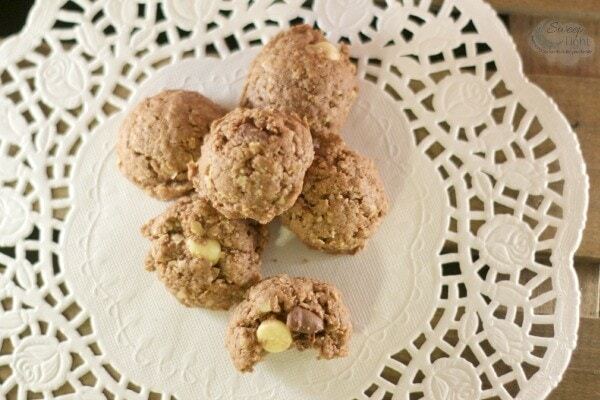 I found this oatmeal pudding cookies recipe in a magazine that I get monthly. Anything with instant pudding in the mix is usually delicious, so I had to give it a try. After doing a Google search, I also found the recipe here. I modified it slightly but didn’t stray too far off from the original recipe. Mike got me a KitchenAid standing mixer for Christmas. That’s what is causing my sudden urge to become a baking machine. I never knew what the hype was about a standing mixer until I got to experience it for myself. I love it! Mix butter, sugar, brown sugar, and instant pudding mix in a large bowl. Beat until creamy. Batter will be stiff. Drop by rounded teaspoons onto an ungreased baking sheet about 2 inches apart. The stiff batter kind of threw me for a loop on this one. The cookies don’t spread out much while baking, and pretty much remain the same shape. The original recipe called for vanilla instant pudding. I used chocolate because that’s what I had in the house. I think I would use vanilla next time. 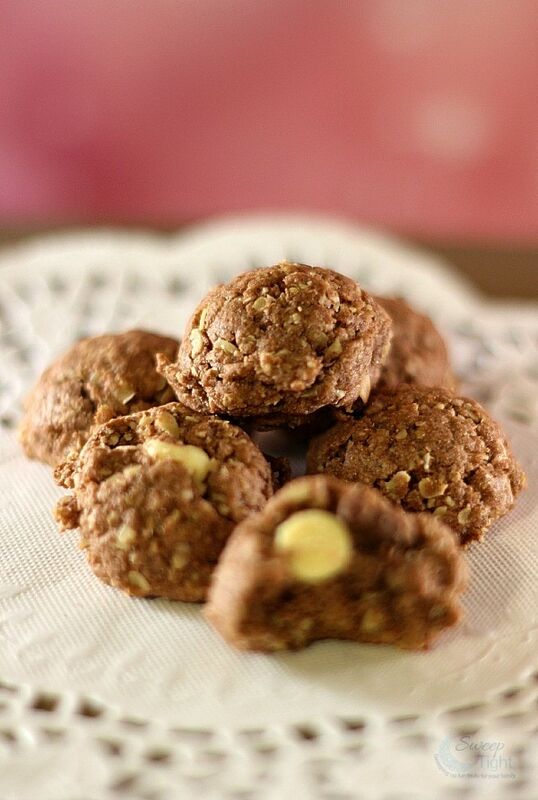 Since these Oatmeal Pudding Cookies are so small they are bite-sized and fun to eat. The flavor is not overly sweet, which I prefer. The texture is a little crunchier than I like in a cookie. I think I might use fewer oats next time. Overall I liked the Oatmeal Pudding Cookies and received good feedback from others, as well. Thanks for the warning about them not spreading out. Good to know in advance. I bet they are nice and moist. Nice recipe. Thanks for sharing. I love making cookies and this is one that I want to make soon. I like that it has pudding in them. I bet is gives it tons of flavor that is so delicious! Thanks for the recipe. Great recipe. I’m going to pass this recipe on to my Mom. These cookies look delicious. Always looking for yummy cookies to make. Thanks! I found your recipe over at the Inspire Me Tuesday link party. I host Tickle My Tastebuds Tuesday and would love it if you would come over and share this recipe. I’m sure our party goers would love it! These would be great with some hot tea or coffee, I love oatmeal anything, these would not last long at my house. 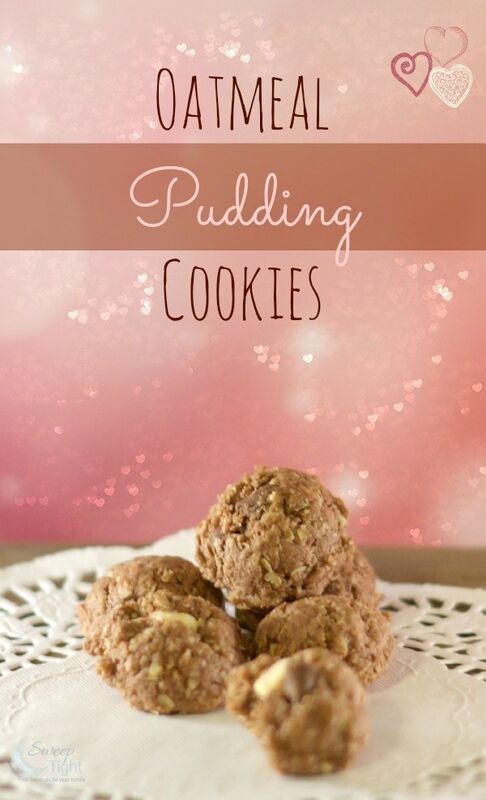 These look so delicious and I have all the ingredients to make these cute Oatmeal pudding cookies! I will have to make these this weekend! Thanks for sharing. These look pretty good. I never used pudding mix for cookies, but I bet it does make them softer. I need to try it.